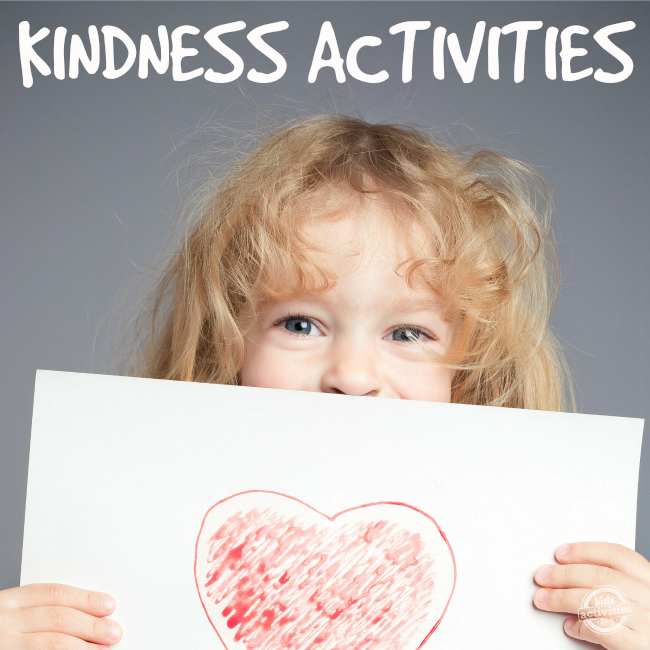 We love using these fun and playful kindness activities to teach our kids. It’s so important to begin teaching them about being kind to others and how little things can make a big difference. What is great about these kindness activities, is that you don’t have to spend a lot of money to do something nice. We love these ideas! Can you fit acts of kindness into your family schedule? Love this from Moments A Day. Take the abstract idea of “filling your bucket” and make it real by using an actual bucket and kind words on paper. 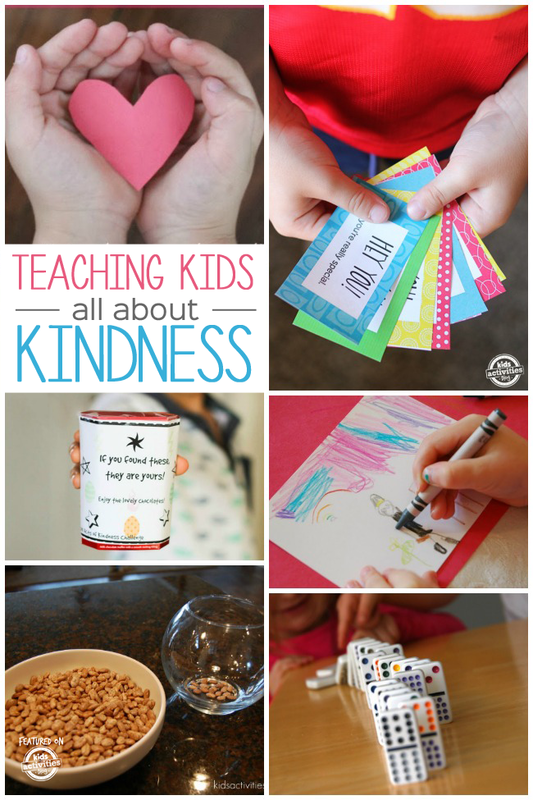 Make a family kindness jar so that kind acts are acknowledged. Add beans to a jar for kind acts done and when it’s full it can magically turn into candy! Cotton words or sandpaper words? This is an incredible hands on lesson for kids. From The School Counselor Kid. Print these free smile it forward cards and place them around your city for people to find. This is so fun! Here are some simple ways to help teach your child about being a good friend. Remember cootie catchers? These are kindness catchers! Kids can play them with friends to discuss nice things they can do for each other like give high fives! From Coffee Cups and Crayons. Teach your kids about generosity by getting a list of food needed for a local food bank and take them shopping. These bags of joy are nice little things to make for people who may need a pick me up. Brighten someone’s day by sending them a box of sunshine. This is so sweet! From Love and Marriage. This hands on activity shows kids how hard it can be to undo harsh words. All you need is tissue paper. From First Grade Wow. 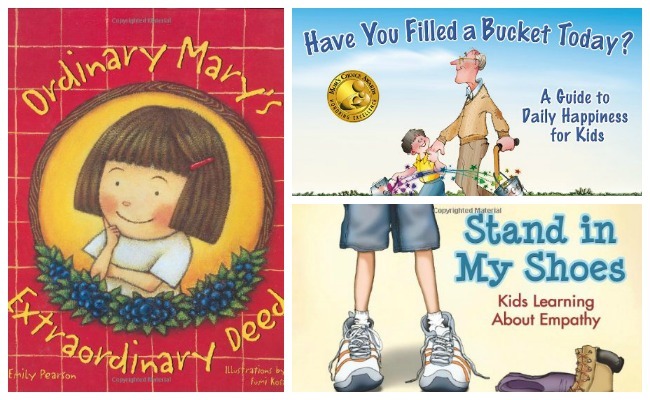 Here are a few of our favorite books about kindness. Here are the rest of the kindness activities. You can even add your own! By linking up, you give other blogs permission to link back to your site and use one photo in a roundup post. Family friendly links only, please. FOR NO REASON is a great picture book for children aged 5-9 about Jamie Higgins who comes up with a clever way to deal with a classroom bully, Brad Lugsley, without getting into trouble or being mean. Lots of fun, creative and educational activities are included at the back of the book that will get children thinking about their own experiences and how they might handle a bullying situation. For more information about this animated, heart-warming book, go to https://www.skippingstonepress.net. FOR NO REASON is also available in libraries across Canada, Australia and New Zealand, and Amazon.ca.